This review of the World of Warcraft: Chronicle Volume 3 by Chris Metzen et al. is of the spoiler-free variety. Check out the entire Blizzard catalog in our Extensive Extended Universe post. The third installation of the World of Warcraft: Chronicle brings readers firmly into the realm of the backstory’s namesake. 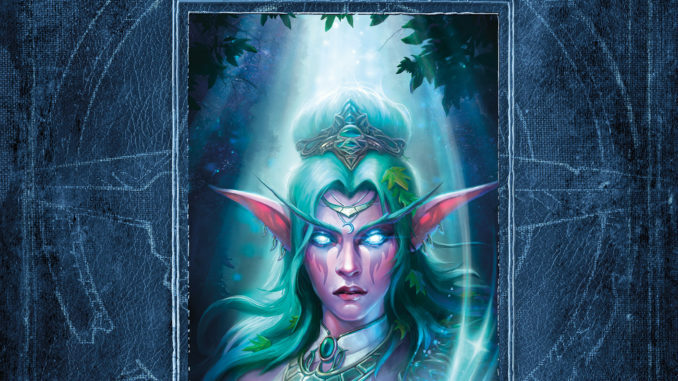 Volume 3 covers near present day Azeroth after taking readers through better than 400 pages of the abridged universe. Long gone are ancient Azeroth and Draenor. The Dark Portal has been opened, the Third War looms, the Lich King is created, and the Old Gods continue their millennial-long plots. Keen Lorehounds will realize that this means the third entry kicks off within the universe originally presented to players. That’d be players of the real-time strategy variety. Yes, we’re talking Warcraft II and Warcraft III. Nothing is altered from the previous two installments. Readers are given a thumbnail summary of plots points that may span entire novels with occasional concept art mixed in. The balance of breadth and depth isn’t always on par with the weight of the topic. For example, the attempted return of the Amani and various other antagonistic troll clans are given a subsection, as opposed to a full description. Other times, it seems that Horde or Alliance are getting a better presentation. Nit picky critiques at best. 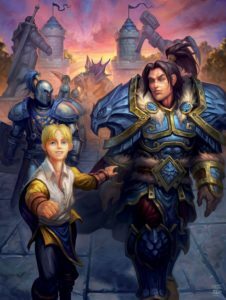 Perhaps the most jarring aspect in the retellings is how the instances of Horde and Alliance are retold given the entry of Adventurers (read players) into much of this volume. First, despite performing many of the feats of Warcraft II and III lore ourselves, we’re not captured in the lore. This is because we were acting as the storied heroes. It isn’t until World of Warcraft lore that players receive their much-deserved credit. Oddly, this credit is always assigned to one faction regardless of the fact that more often than not both sides partook in the raid, dungeon or general quest plot point. It’s an interesting way to present the narrative. We all know that Blizzard Entertainment has done its fair share of retconning over the years. Many of the tweaks were necessary. Overlooked plot points, plot holes, dropped threads, whatever the case may be. Naturally, you won’t find any mention of such things in the official retellings. You also won’t find the same narrative flow presented in the underlying media. If the quest writers spent months, patches even, laying out subtle clues to a character’s downfall and ultimate influence, you won’t see it. It’ll be blurted out like Snape killing Dumbledore in General Chat. Talk about messing with the timeline. Nozdormu would be furious. Murozond would be proud. Already own, Volume 1 and 2? Then you’re pot committed, you cannot refuse this amazing tome of knowledge from Dark Horse and Blizzard. If you haven’t invested yet then, frankly, you’re not actually into lore. Or you hate reading. I’m not sure how that could be possible, but you clearly found a way if you’ve overlooked these consolidations to date. Interested in exploring World of Warcraft’s recent lore further? Repeated Blizzard Universe New York Times best selling author Christie Golden returns to the universe with Before the Storm on June 12, 2018. We’re coming of of the Legion story, so you may want to check out the return of Illidan, a tie-in to the exiting Legion. Our review of Illidan’s return is live. Check out all of the novelizations of Blizzard products in the our Extensive Extended Universe rundown. when does volume 3 end?